in the context of the Muheza and Same Programs, by updating and systematizing economic information, according to the relevance of the value of transparency in ONGAWA. To manage, monitor and report on all logistics processes, including supply, procurement purchasing, warehousing, assets, fleet as well as related administrative procedures to support the operations in Muheza and Same. To participate in the development and follow-up of the programs budgets. To ensure proper and punctual implementation of general and costs accounting that integrates financial information of the programs offices. To monitor and support project partners financial teams. To ensure that the programs are complying with donor funding requirements and ONGAWA internal procedures by proactive and periodical updating on any substantial change on those norms. 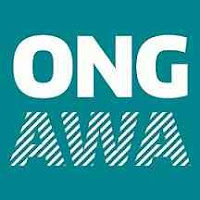 Responsibility for the proper management of resources ONGAWA and for the support to the programs teams, ensuring the means necessary for the proper performance of their assigned tasks are available. To follow and enforce the procedures and standards regarding to financial and logistics within the context of the programs. The functions described below may be modified, extended or restricted by ONGAWA, in order to adapt to the strategy, set by the organization at all times. To lead the closing of the annual budget. To support project partners financial teams and make sure that they comply with the actual agreements in relation to accountability cycles. Revision and consolidation of their financial reports. To contribute to the annual internal audit, providing proper information in terms of timing and quality. Fluent in English and Swahili, both spoken and written. Spanish will be an added advantage. A good working knowledge of accounting. At least three (3) years' experience working as an accountant in any reputable organization Must have worked in a computerized environment. Perfomance evaluations provided by immediate supervisors, support staff and collaborative professionals encountered during contract period.